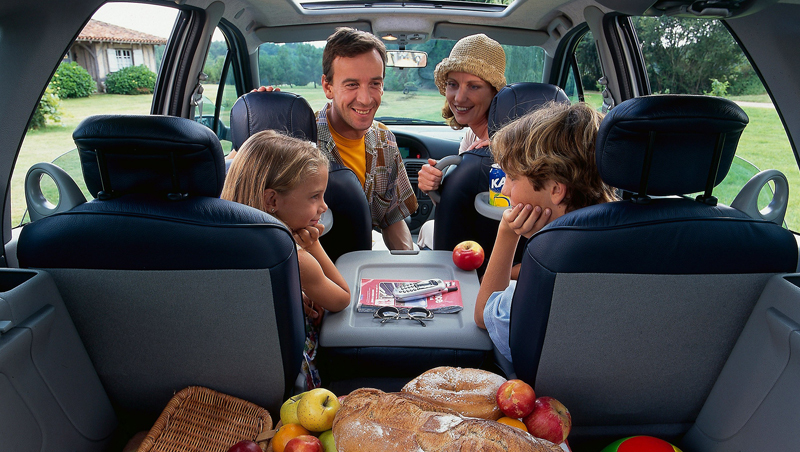 The history of Renault’s family cars started fifty years ago in France during the post-war boom. In early 1965, the brand unveiled an innovative new vehicle at the Geneva Motor Show: the Renault 16. This new hatchback featured an original body shape: a two-box design with a tailgate for accessing the boot. Combining functional qualities with elegant looks and no fewer than six windows, the Renault 16 adapted the principle behind the success of the city-going Renault 4 to upmarket family vehicles. In short, it was a family car. The Renault 16 was styled by Gaston Juchet. Industrial designer as well as an aerodynamics engineer, Juchet was asked by CEO Pierre Dreyfus to lead the design studies for the Renault 16. When he joined Renault in 1958, Gaston Juchet’s first job was the renewal of Frégate, or project 114. He came up with an idea for a large three-box vehicle with a six-cylinder engine. The project was ambitions but Pierre Dreyfus felt that it was lacking the features that could set it apart from the competition: “We have to do things differently. Cars must no longer be just four seats and a boot. It must be viewed as a volume”. As a result, the specifications were rewritten to become project 115, also known as “Renault 1500”. Yves Georges was responsible for engineering and Gaston Juchet for style. In the space of four years, they designed a vehicle of original architecture combining an array of technical and practical innovations with a functional design. On the fringes of the project, the team also worked on a coupé that was finally dropped owing to insufficient profitability. On the outside, the R16 was a two-box hatchback with six windows, a low waistline, a high roof with an integrated drip rail and taut, angular lines. 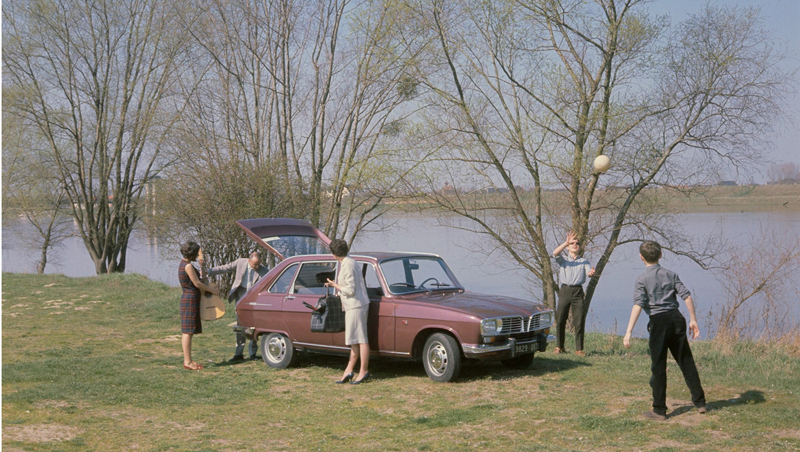 Despite its clearly unconventional looks, Pierre Dreyfus gave the Renault 16 his approval, stating that it would be “a car for families attracted by modern consumer society”. 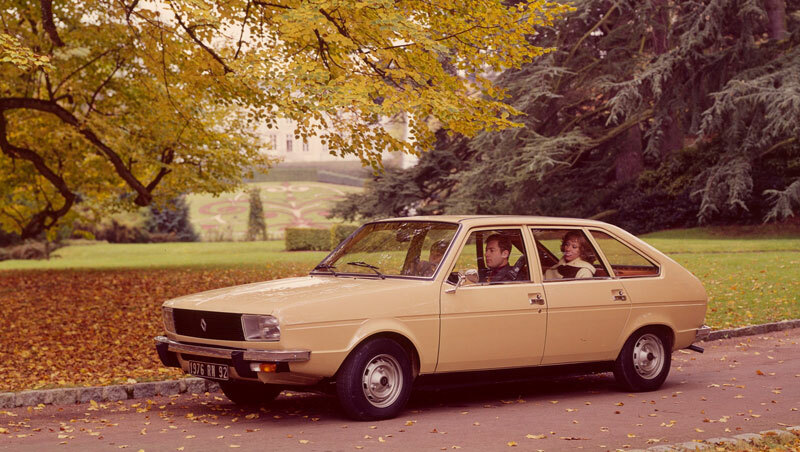 Cutting across the hatchback and commercial vehicle categories, the Renault 16 was exceptionally versatile for its time. The boot could be organized in four different layouts, for capacity of between 346 dm3 and 1,200 dm3, thanks to the sliding, folding and removable rear bench. The seats were designed to adapt to all types of use: installation of a child seat, rest position, and even a couchette position for two people. 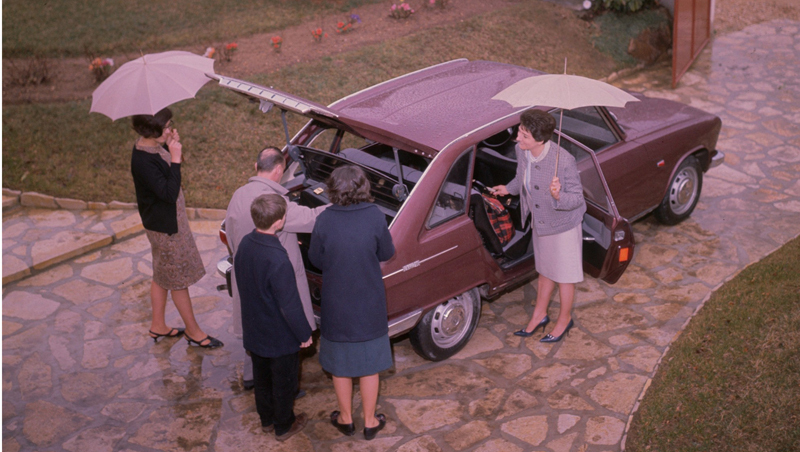 From the start, the Renault 16 was designed as a family car, fundamentally different from the competition. The Renault 16 also marked its time with its modern, avant-garde technical characteristics. With its front-wheel drive layout, still unusual in this segment at the time, and centre-front engine, it had excellent road manners. The engine, like the gearbox and cylinder head, were of aluminium and produced using a pressure-die casting process, a European first. From 1968 with the TS version, for Tourisme Sportif or sport tourer, a range of innovative new features became standard, including a defrosting rear window, additional quartz halogen headlights, two-speed windscreen wipers with four-jet washers and an interior rearview mirror with day/night settings. In 1969, the Renault 16 gained reversing lights, along with front power windows, an electric sunroof and leather upholstery. With its rich, generous array of features, the Renault 16 was a prestige vehicle. 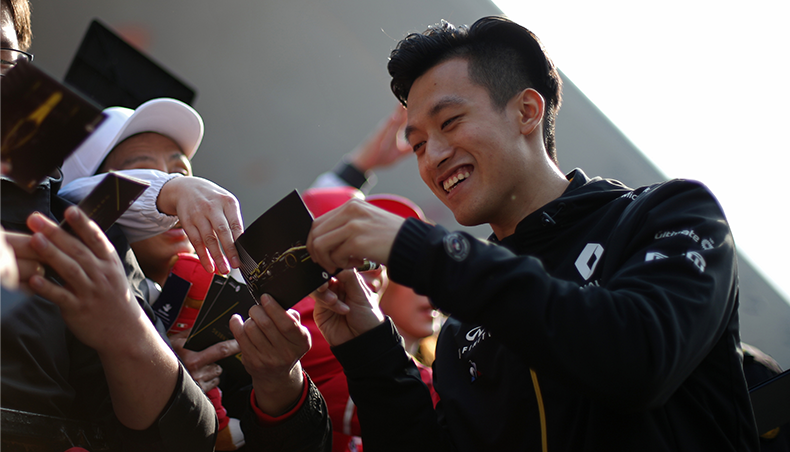 Its owners gained access to modern consumer society and a new automotive experience. Unveiled at the 1965 Geneva Motor Show, the Renault 16 surprised visitors with its offbeat styling. 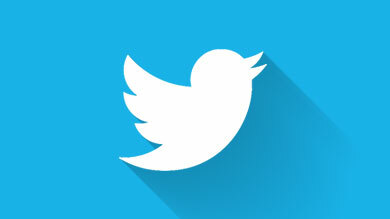 However, it quickly won the public over with its ability to meet requirements easily and simply. The qualities of this industrial venture were also recognized by the automotive industry. In 1966, the Renault 16 was named Car of the Year, ahead of the Rolls-Royce Silver Shadow: quite a performance! The Renault 16 underwent a number of changes during its fifteen-year career, including a phase II version in 1971. Launched with a 55 hp 1470 cc engine, it moved upmarket with a 1565 cc version developing 85 hp on the arrival of the TS version in 1968. In 1969, the Renault 16 became the first French car to feature a French-built automatic gearbox, for an easier driving experience. Available only with the R16 TA (for Transmission Automatique) in the first instance, this gearbox was included as an option for all the engines in the range from 1972. Its presence was indicated by an “Automatic” badge on the tailgate. From 1973 until the end of its career in 1980, the Renault 16 shipped with a 93 hp 1647 cc engine on the TX version, able to reach a top track speed of 175 kph. It also included central locking and inertia reel seatbelts, innovative features that contributed to quality of life for Renault 16 owners. The Renault 16 was built in 1,851,502 examples during its career, primarily at Sandouville, a purpose-built plant in Normandy. The Renault 16 contributed to Renault’s international expansion. Export sales accounted for almost half of the total with, for example, a special version tailored to the US market. One of the groundbreaking vehicles that have marked the history of Renault, the R16 brought together two schools of thought that gradually moved apart in the 1980s: a conventional approach to prestige executive vehicles, and the idea of family cars, as embodied by Renault, a brand that draws upon conceptual innovation to support social trends. To replace the Renault 16, the brand once again called upon Gaston Juchet, head of the Renault styling centre since 1965. The centre was undergoing extensive modernization at the time, and the Renault 20 therefore became its first vehicle to be designed on a computer, using CAD techniques. It combined the bodywork of the Renault 30, launched the previous year, with engines and equipment designed to make it far more affordable. Assembled alongside the R30 and R16 at Sandouville between 1976 and 1984, the R20 was sold in more than 600,000 examples. Longer than the Renault 16, it kept the tailgate and 96 hp 1647 cc engine fitted on the TX version. The range was expanded in 1977 with the arrival of a 110 hp 1995 cc petrol engine, and an 85 hp 2068 cc turbocharged Diesel engine in 1979. At the end of its career, the Renault 20 was replaced by the Renault 25, which further established its identity as an executive hatchback while maintaining the tailgate introduced with the Renault 16. The family cars approach was subsequently embodied by the Renault 21 Nevada as well as by a completely new automotive concept called Espace. Espace arrived in 1984. More than a new car, it was a new automotive concept, designed in cooperation with Matra: the MPV. Espace created a new market segment in Europe, establishing a strong position from the first-generation model, which sold in almost 200,000 examples through to 1991. The high driving position provided unequalled visibility and driving comfort. 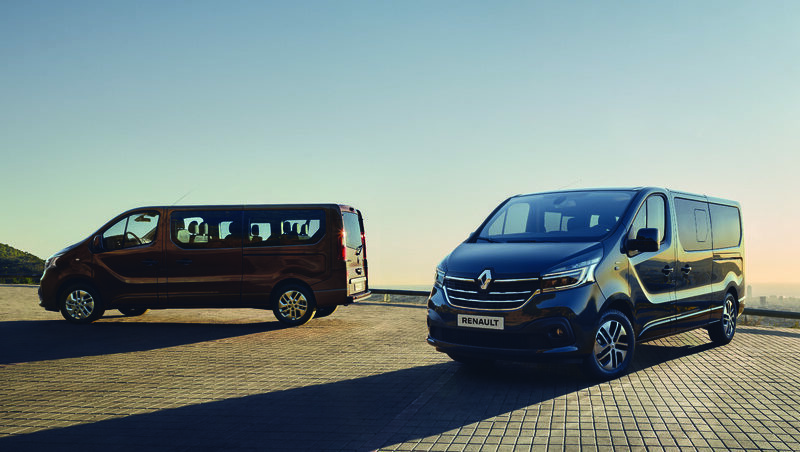 The key strength of Espace lay in its ability to carry seven passengers and to reach a top track speed of 180 kph with its original aerodynamic lines. 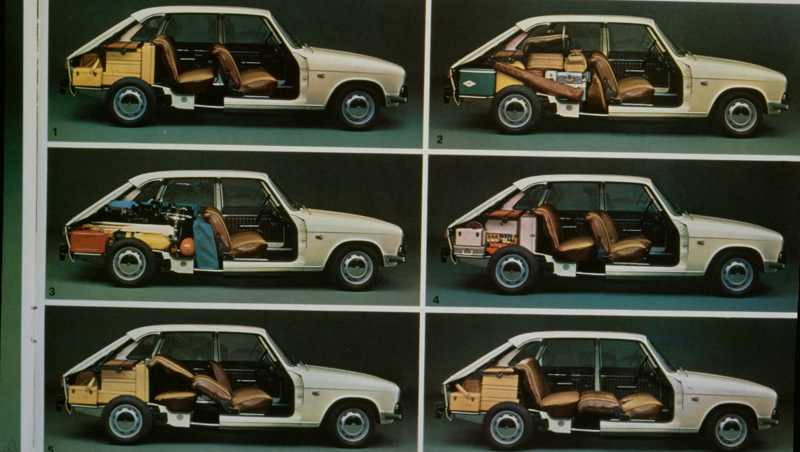 The one-box body style with the flat floor and modular layout provided far more interior space than ordinary cars. 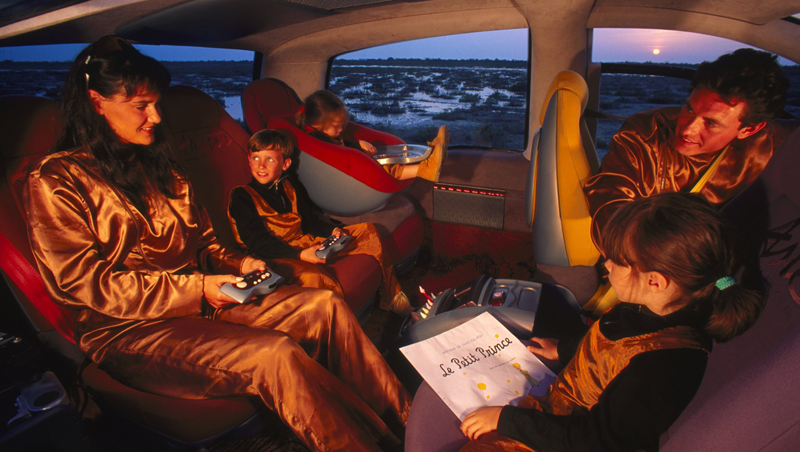 All passengers had their own folding, removable, swivel seat. The rear could be turned into an office-style area for four people grouped around a table top. Espace was the first vehicle to ship with Renault’s celebrated 1980s slogan: les voitures à vivre or "There's more to life with Renault". Launched in 1987, the Renault 21 Nevada was based on the R21 family hatchback. It was 4.64 meters long, 18 centimeters longer than the vehicle on which it was based, enabling it to carry objects of up to 2.10 metres in length. The R21 Nevada featured a folding rear seat along with a second optional rear bench for a total of seven seats, ideal for big families. The Quadra version featured a diff lock to take on all types of terrain. 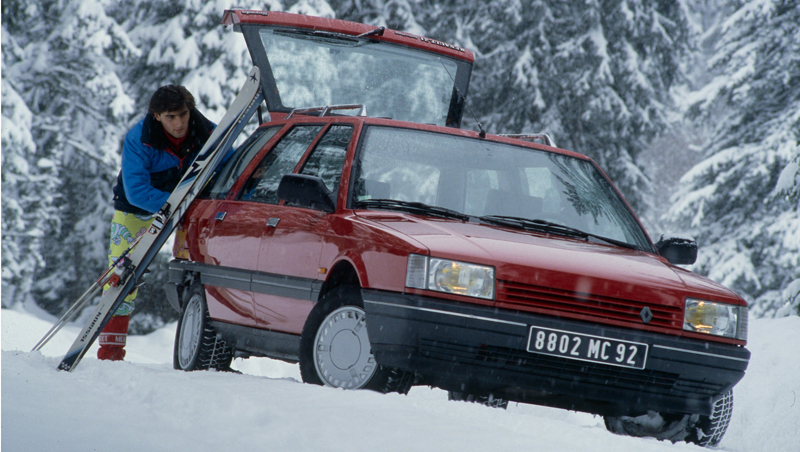 Iconic family vehicle of the 1980s, the R21 Nevada was even renamed “Renault Nevada” between 1993 and 1995. The Scénic concept car was unveiled the 1991 Frankfurt Motor Show. Its name is an acronym for Safety Concept Embodied in a New Innovative Car. The idea was to design a sort of family ‘nest’. Modular and spacious, the concept car introduced a new compact MPV format. Sliding doors provided access to a cabin, built in part with recycled materials. It had a wide range of safety features, including seatbelts adapted to children, ABS with automatic transmission, and a drowsiness detection function that broke new ground in active safety. The Scénic concept car paved the way in 1996 for Mégane Scénic, the first ever compact MPV. Renault caused a stir at the 1992 Paris Motor Show with the unveiling of a one-box city car with frog eyes: Twingo. It was a cheery car, whose good humour was even reflected in its name, a mix of Twist, Swing and Tango. Just 1.78m long, the cabin boasted record-breaking space. 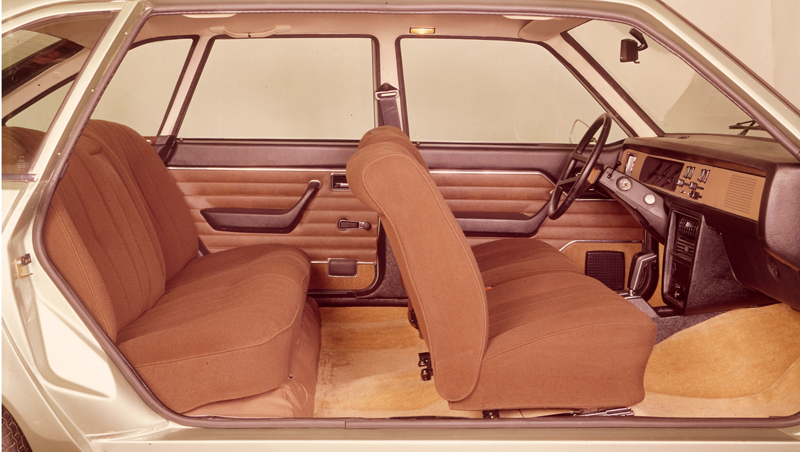 Twingo also featured a sliding rear seat, an innovation based on a historic patent filed by Louis Renault himself and inherited from the Renault 16. Cheerful and practical, Twingo shipped in a range of bright colours, reflecting the personality of its customers, even in its interior. 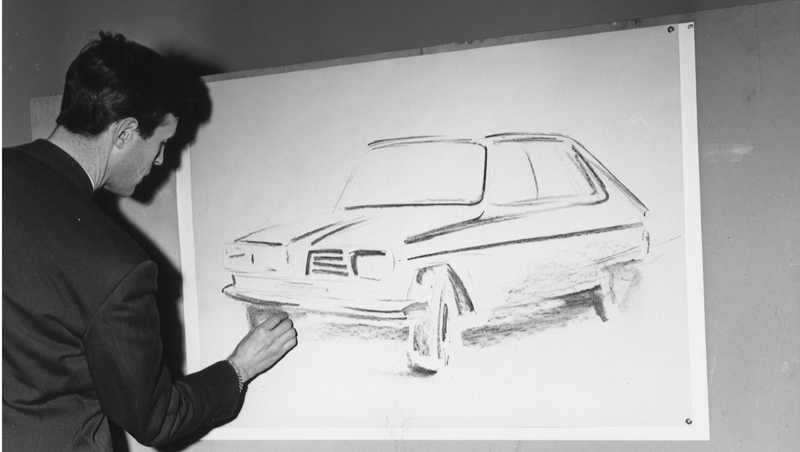 In a nod to its forerunner, the Renault 16, the preliminary project for Twingo was the last one supervised by Gaston Juchet. Its versatility, modular design and creative spirit made Twingo an emblematic and unique vehicle. As the slogan said, it was up to the user to invent ‘a lifestyle to go with it’! 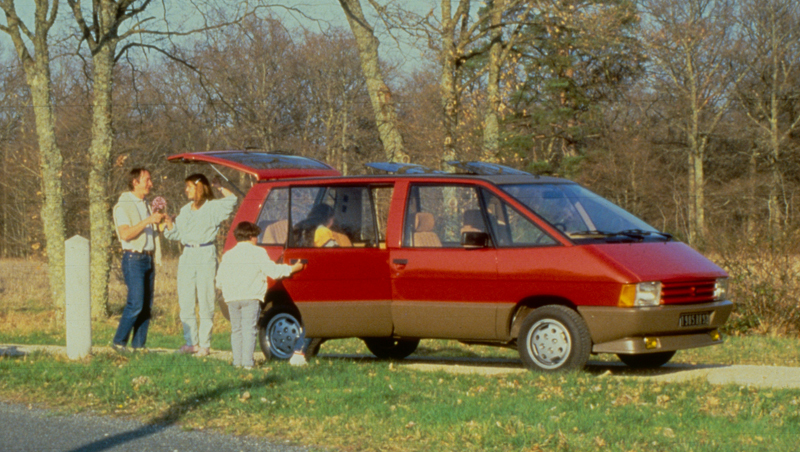 Renault Scénic was the first compact MPV in automotive history. 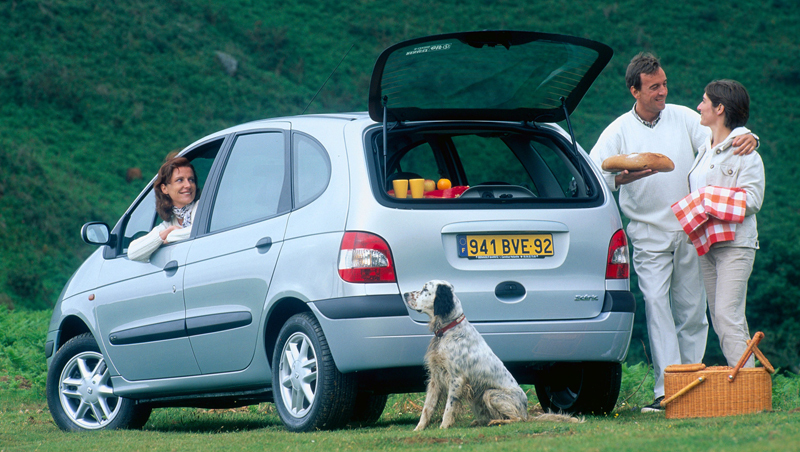 It joined the range of Renault MPVs in 1996, slotting in between Twingo and Espace. Immediately adopted by families, the car was such a success that its name was quickly changed from “Mégane Scénic” to just “Scénic”. A compact car, it was just 4.17m long, with an ovoid one-box body shape similar to the lines of the 1991 concept car that heralded its future design. 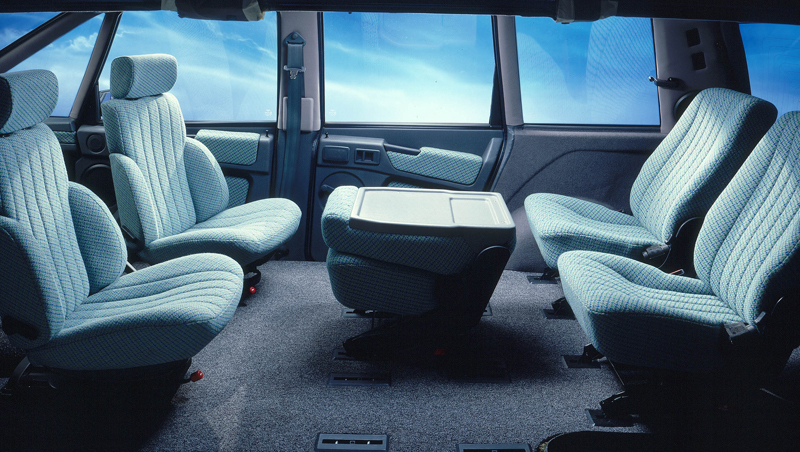 Inside the cabin, Scénic featured three independent, removable, folding seats for rear passengers. 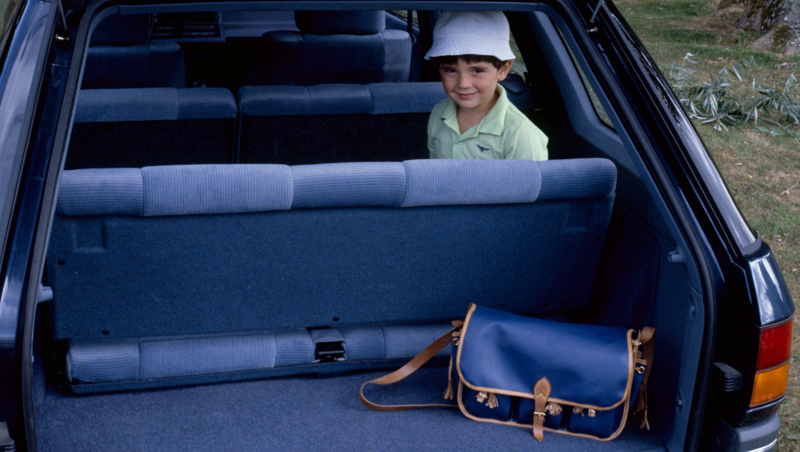 It also included a wide range of stowage options: two gloveboxes, an array of cubbies, and flaps in the floor. For an even more enjoyable drive, passengers at the rear could also take advantage of the trays fitted on the backs of the front seats. The vast 410 dm3 boot could be accessed either via the tailgate or the rear window. Named European Car of the Year in 1997, the Scénic was restyled in 1999 and separated from the other vehicles in the Mégane range. Since then, two more generations have arrived on the market. Copied by all its competitors, Scénic remains to date France’s best-selling MPV. 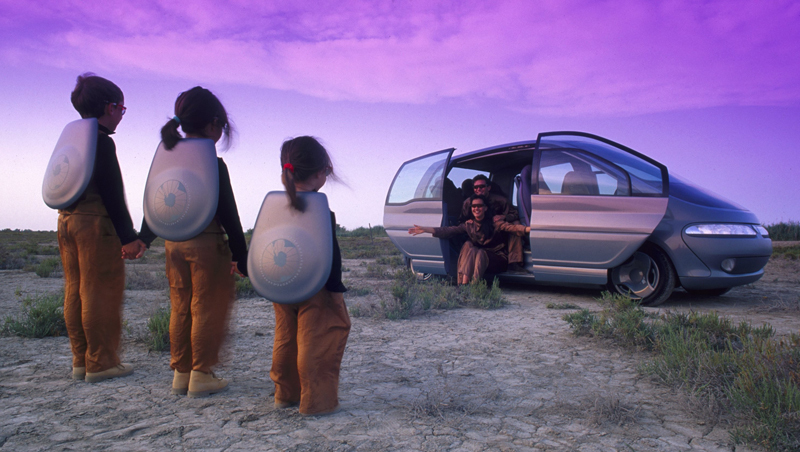 A contemporary take on family cars, R-Space was a sensual MPV concept grouping features that were long considered incompatible: family use, functionality, sportiness and sensuality. 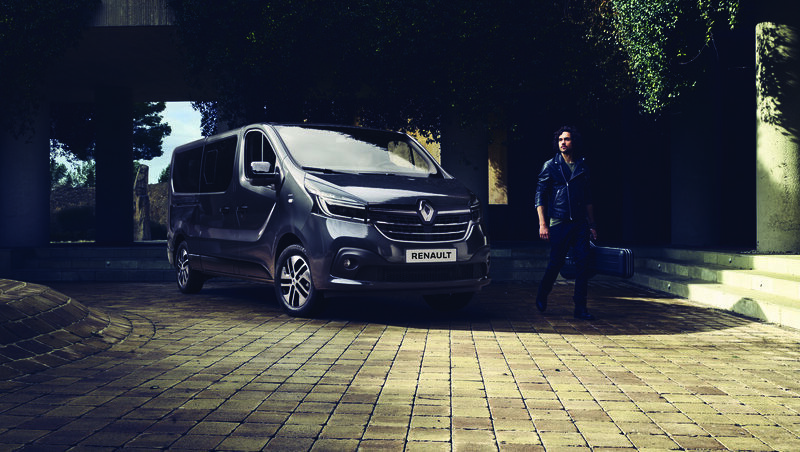 In the space of fifty years, Renault has made its mark on automotive history and established its vision of cars tailored to the lifestyles of their occupants. 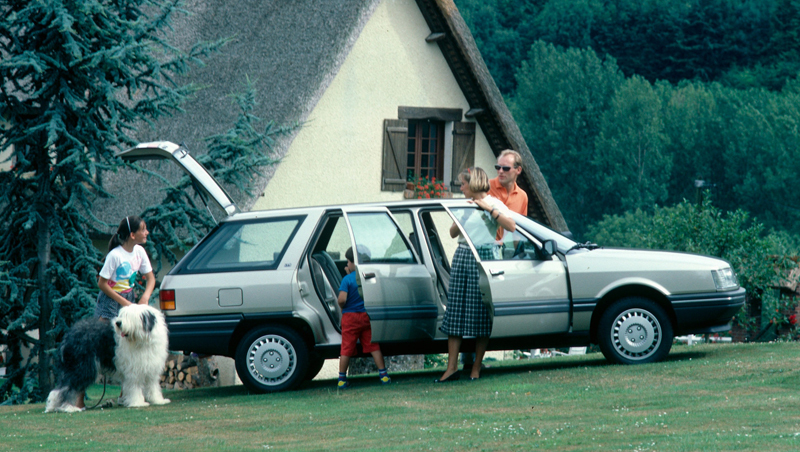 The Renault 16 reviewed the cues of family vehicle design. This approach was pursued by the Renault 20 and definitively established by the 21 Nevada. 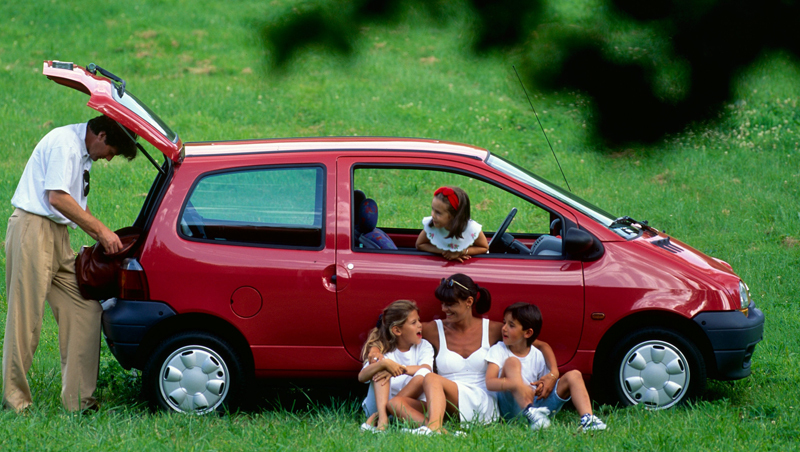 Espace created the MPV segment, Scénic established the compact MPV segment, while Twingo revolutionized city cars. 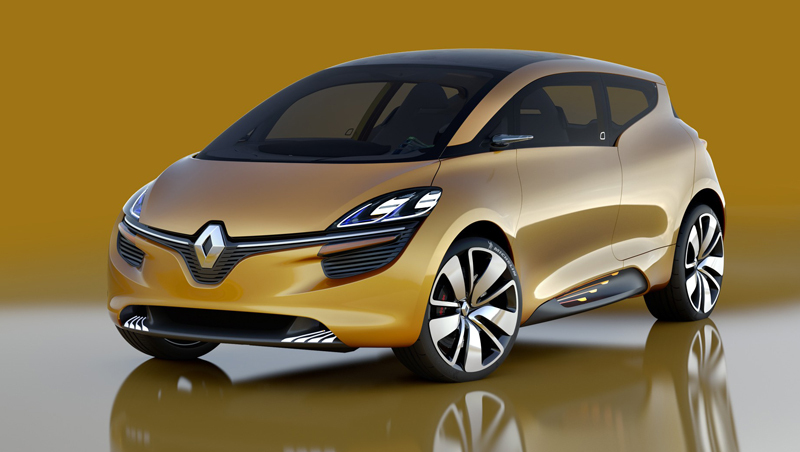 With R-Space, Renault set its sights on the future with an approach to mobility that is both dynamic and positive. 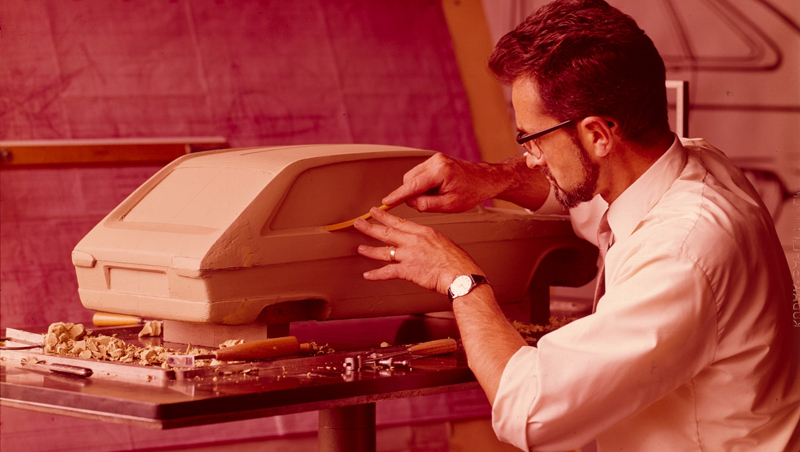 Keeping pace with social trends, the brand has extensive expertise in the design of family vehicles. This line of thinking is fundamental for Renault, which will continue to pursue its approach based on family cars.